Sephora, the cosmetics retailer, has long been a pioneer in creating and cultivating a strong community of customers both online and offline, often coordinating its approach on one channel to drive results in another. Sephora's current marketing strategy is focused on blending online and in-store experiences and promoting brand engagement via social, mobile and web platforms. Learn what makes Sephora's strategy different when it comes to how the retailer incorporates data into its omnichannel marketing components. Through market research, Sephora discovered that customers often use their personal smartphones when shopping at the retailer's brick-and-mortar locations. It was found that these shoppers were often searching for outside recommendations, product reviews or better prices on the products they were considering purchasing in-store. 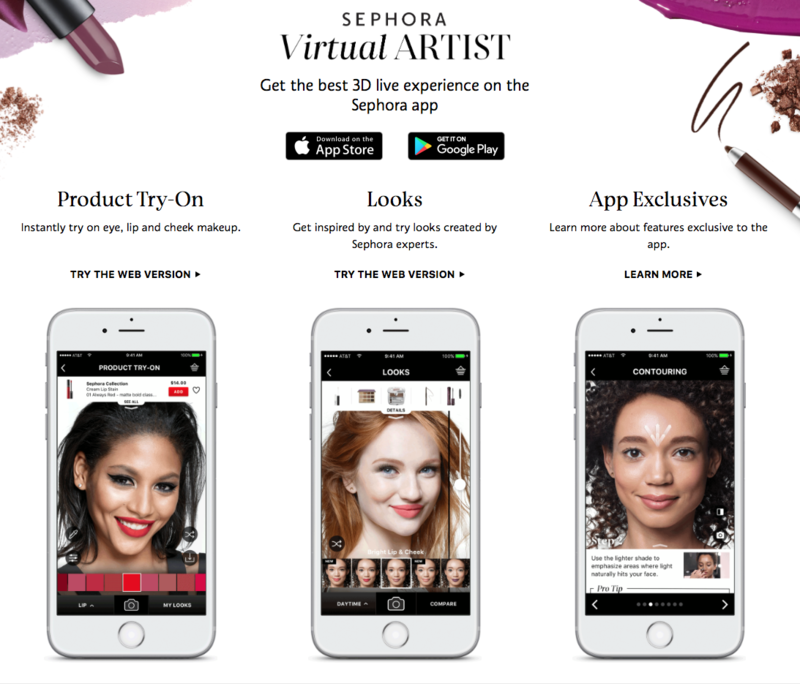 Armed with this data, Sephora developed the Sephora mobile app, which focuses on providing shoppers with a mobile experience that is catered to their needs. The app is designed to emulate the knowledge of a personal shopping assistant or a Sephora sales associate in that it provides product recommendations, reviews, and pricing information in a simple format which makes it easy for a customer to purchase products. In addition, the app now comes with an artificial intelligence (AI) feature called Virtual Artist, which uses facial recognition technology to allow customers to virtually try on makeup products. The app can then either send customers to purchase the products online or tell them where they can be found in a store. 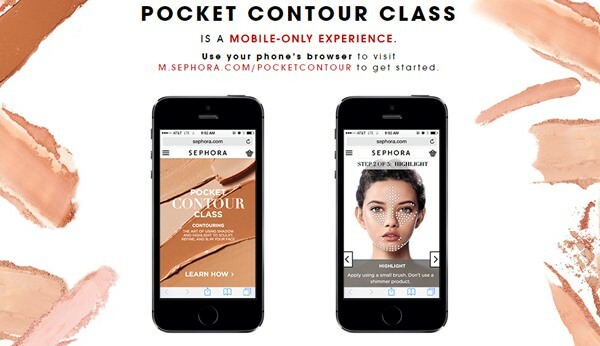 In other words, the goal of Sephora's mobile app is to give customers the tools they need to help them feel confident in making a purchase - whether in-store or online - without necessarily needing to speak to a sales representative or research outside sources as they were doing previously. By noticing the habits of in-store shoppers and addressing their needs with its mobile app, Sephora is able to enhance the mobile shopping experience for customers both in-store and online. This capability has been further improved since the merging of Sephora's digital and physical retail teams in October last year. For Mary Beth Laughton - who had been the company's SVP of Digital since 2014, but assumed the new title EVP of Omni Retail when the initiative launched - the decision to merge the teams was a sign of the times, as Sephora had to realign itself in accordance with today's multi-channel shopper. "We should be fine with wherever the customer wants to shop, and our existing organization didn't reflect that mindset," said Laughton. "So we brought in-store and digital under one roof, along with customer service. It's changed the way we think about sales metrics, engagements, and experiences across channels." By combining the teams, Sephora has been able to rebuild customer profiles to include 360-degree data that tracks the whole customer journey from online browsing and purchasing to in-store interactions with sales representatives and over-the-counter sales. The result is that Sephora can now trace customers' precise offline and online behaviors in the lead-up to a sale. "If a customer browsed online then bought in store, we can see that. We just weren't looking at it before, but it's a win for both channels," said Laughton. "We had good relationships across our channels, but we weren't collaborating or finding synergies, and we were maximizing business in isolation. We're more aligned, and we can move faster across in-store, online and mobile strategies. Mobile is the glue that holds it all together." As an added benefit of the mobile app, Sephora can collect more information about audience habits through the data that shoppers provide while using it, which helps the brand influence future purchasing decisions. One of Sephora's key goals is to focus on creating a quality experience for each individual shopper whether on the web, on mobile or in-store. In order to accomplish this, Sephora uses data gathered from their customers' shopping habits to design informative marketing content that is both helpful to a wide segment of their audience and personalized to an individual shopper's needs. One way that Sephora can gather this information is by analyzing the actions that a shopper takes after being presented with a product page. The choices a shopper makes helps Sephora identify the customer's intentions and design a more personalized user experience that accounts for whether the shopper is researching and comparing products, planning a purchase for later, or ready to purchase a product immediately. For example, a shopper that adds a product to their basket could intend to make an online purchase, whereas a shopper that searches for a local store could intend to make a purchase in a physical location. Regardless, these two shoppers are on different paths to making a purchase from Sephora, and thus will likely have a unique experience. In November last year, for example, Sephora began utilizing the Google Analytics 360 Suite to better understand the purchase journey when customers view a Sephora ad online or on mobile, but make a purchase in a store. The brand worked with Google to integrate data across online transactions and in-store purchases. "We decided to start sending our offline purchases to our Analytics 360 account to connect these purchases to existing journeys," said former Head of Data at Sephora SEA Adrien Eudes. "This illuminated which online research pathways finally led to a sale, whether online or offline." From the data gathered, Sephora saw that 70% of customers who visited the retailer's website before heading to a store to make a purchase did so within 24 hours and that more than half of these website visitors were on mobile. This allowed Sephora to gain a better view of the customer journey, and also the impact of its digital marketing efforts - namely that online advertising was driving in-store purchases. In fact, when in-store sales were included in the path to purchase, Sephora saw a 3.9X higher return on ad spend (ROAS), and a 3X increase in conversion rates from its digital ads. What's more, the retailer found that if customers visited the Sephora website less than one day prior to purchase, there was a 13% uplift in their in-store order values on average. Sephora realized through product reviews and customer feedback that a common pain point for customers was purchasing a cosmetic product that wasn't the right fit, which caused unwanted frustration for shoppers. To help solve this problem, Sephora creates online content to educate shoppers on their way to making a better purchase decision and feel confident with their selections. For example, Sephora's Pocket Contour Class offers tips on how to properly apply Sephora's products and can recommend which products are right for a variety of skin tones. 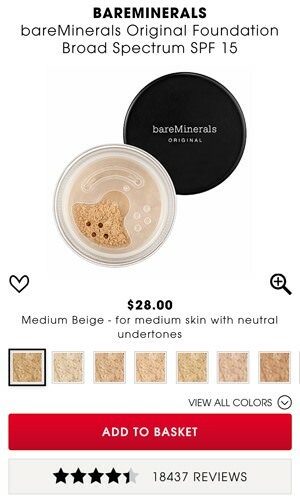 Further educational content is available on Sephora's website and mobile app, as well as the company's catalog. Sephora is also big on video content, knowing that the vast majority of beauty shoppers turn to the likes of YouTube for reviews and tutorials before committing to a purchase. The retailer has been increasing its video output significantly over the past couple of years - from 250 videos in 2016 to over 600 in 2017. Utilizing the power of influencer marketing - which includes brand ambassadors and micro-influencers - Snapchat takeovers, YouTube beauty videos, and Instagram campaigns, Sephora embraces a multi-channel video and visual marketing strategy that connects with audiences on the platforms they use most. 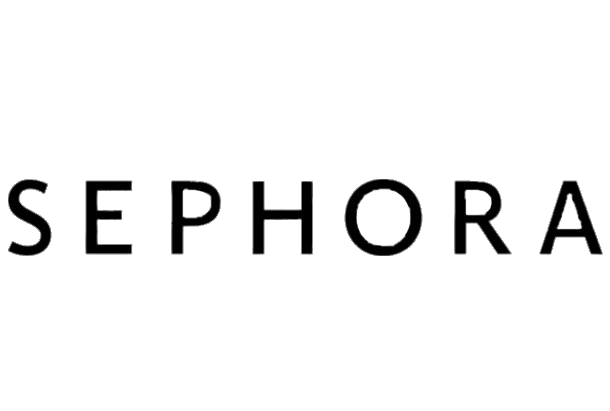 "We've always been a playful environment, it's one of the disruptive initiatives that Sephora brought to the market, broke the glass camera and really created an unbiased beauty experience," said President and CEO of Americas at Sephora, Calvin McDonald. "As more and more clients were shopping online, we really challenged ourselves in how do we bring that differentiation of play out of the store and onto the phone." By building customer confidence through product education and addressing the needs of shoppers, Sephora influences more qualified sales while providing a better online and in-store experience. It's through these data-driven decisions that Sephora has continued to stay a dominant leader in the retail marketing space for the past decade. When integrating your retail offerings with your online marketing efforts, embrace personalization and empower your customers with the tools and information that they need to feel confident in their decision to make a purchase. Look to solve any customer pain points to help ease any friction they may have with buying your products. Keeping your audience's needs top-of-mind and gathering relevant consumer information to stay ahead of trends can help you make better data-driven marketing decisions moving forward.